Dave and Mary Kate Skipper had six daughters in addition to their three sons (another son died in infancy). The sons get more attention because they carry the family name, but the daughters have important family stories too. I'm beginning with the youngest daughter, Ethel Pauline Skipper, who married James Phillip Turner, her oldest son provided much Skipper family history and several photos. Ethel was the baby of the family. She was born June 18, 1894, on the family farm between Solgohacia and Lanty in Conway County, Arkansas. Ethel was redheaded like her older brother, John Q. She had eight older siblings in all, who ranged in age from 5 to 25. Her two oldest sisters, Florence and Harriet, were already married and Louisa may have been married also. Florence had been married for seven years and had five children of her own. Ethel's parents were David James and Mary Katherine Skipper. They were 45 when she was born and had lived in Conway County most of their lives. Dave had farmland where his father, Joseph, had settled in 1856. Dave was born in North Carolina and Mary Katherine in Tennessee. James Phillip Turner was born in the Gumlog Community in Pope County, Arkansas, on February 7, 1890. His parents were Henry M. Turner and Marretta Carrell. At some point around 1910, James Turner was in Hattieville in Conway County about ten miles west of Solgohachia. He was one of the early merchants in the community. It is the lot of the youngest family members to experience the aging and death of the older generations while still young. Ethel's oldest sister, Florence, died in childbirth when Ethel was only nine. Ethel was only 15 when her father died the day before Christmas 1909. Ethel married James Turner on January 22, 1911, when she was only 16 ½ and he was not quite 21. They made their home in Hattieville. Their first child, a daughter, Marritta Catherine, was born about the end of the year, but only lived a few months. Their second child, a son, James Paul, was born December 9, 1913. Ethel was 19 when Paul was born. Just two months after Paul was born, Ethel's mother died. Ethel was not yet 20 years old. When the estate was being settled, Ethel and her next older sister, Elmer, were in agreement to let their brothers have all the land. The older sisters and their husbands did not agree with this and bitter feelings resulted between the older sisters and their younger siblings. Paul told that when he was still very young his mother took him to a family gathering. Ethel introduced Paul to several aunts and others who were sitting on the porch, but she very obviously passed by one woman without speaking. After they had left the gathering, Paul asked his mother who the woman was. She replied, "That was one of my sisters." Paul's feeling was that the younger sisters didn't speak to the older sisters, because the brothers-in-law would have fussed about it. Ione remembers that many years later (around 1945) Nett Cowan, Elizabeth's widower, and their daughter, Arbra, stopped in Gore while traveling to Oklahoma City. Arbra went into the house to visit her Aunt Ethel, but Nett stayed out in the car. James went out and talked to Nett and Ione thinks that the hurt feelings were relieved somewhat. 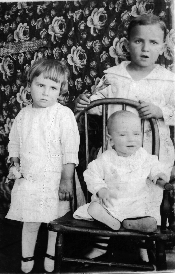 James and Ethel had three more daughters at two-year intervals: Genevieve Alene in 1915, Johnie Ione in 1917, and Marian Adeline in 1919. This photograph was made while Ione was still small. Paul probably started school in 1919. His first three years of school were at Hattieville. The first two years Paul was taught by my Grandmother Maxwell's brother-in-law, Walter Duncan. The third year was taught by my Grandfather Maxwell. Cotton prices fell in the years after W.W.I. Jim Turner's customers couldn't afford to pay their debts at his mercantile business and by 1923 he sold out. Some friends had moved to Webbers Falls, Oklahoma, and Jim decided to move there. Ethel hated to leave her family in Conway County, but, of course, there wasn't much else they could do. Her parents and two older sisters had died and two brothers had moved to England, Arkansas, but a brother and three sisters and their families still lived there. There must have been several uncles, aunts, and cousins as well. Jim was 33 and Ethel was 29 when they moved. Little Ione, who told me about their move and early life in Webbers Falls, was six. Big brother, Paul, was ten, Genevieve was 8, and Adeline was 4. Their livestock, wagons, and household goods were loaded on the train and Ione remembers that her dad rode with the stuff at the back of the train while the rest of them rode in a passenger car. Someone had fried some chicken for them to eat along the way. The railroad followed the north side of the Arkansas River. They arrived at the station in Gore, Oklahoma, after dark. They walked about a half-mile to the ferry boat landing at the river. A bridge across the river was under construction, but was not complete. Jim had to find someone to take the rest of the family across the river in a rowboat because the ferryboat service had closed for the night. He stayed in Gore to take care of their stuff. When they got across to Webbers Falls, they were met by some friends (former Arkansans) who took them by mule-drawn wagon to their home. It was a three-mile trip over muddy roads. Jim brought everything across on the ferry the next morning. After the bridge was completed, U. S. Highway 64 came down Main Street of Webbers Falls. During the first two years their mail was delivered by a horse-drawn hack and the children walked to school which was two miles away. They carried their lunch in a bucket. Some of the school kids lived too far from school to walk and would ride horses or a buggy. Jim raised cotton and corn, which were harvested during the fall months. To provide money during the other months, he raised white leghorn hens for eggs to sell. Some of the chickens were hatched in incubators on the farm and some were ordered from a mail-order house. The chickens were shipped live to the post office and rarely would there be any dead. Jim also raised broom corn and made brooms on a "homemade machine". The brooms were shipped to various states. 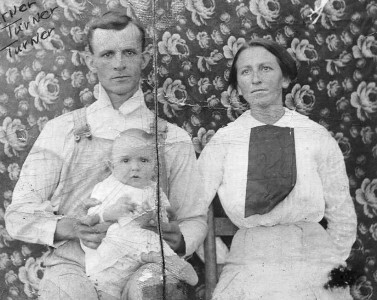 Sometime in the mid-20s, Rosie Elmer Edwards and her family moved to Webbers Falls. They had five children from baby Leonard to Millard, who was about 10. Aunt Elmer was 36. Even though roads were still pretty primitive in the 1920s, the family members made visits back and forth. It is about 150 miles from Morrilton in Conway County to Gore, Oklahoma. John Quincy, the oldest brother, stayed in Conway County. Two of the Skipper brothers lived about 80 miles east in England, Arkansas. Apparently Conway County was a meeting place or stopover because the oldest brother lived there. The two oldest sisters had died, but their families still lived in Conway County. One sister had moved to Jonesboro. 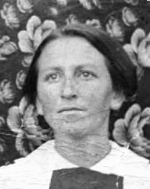 Betty Cowan was the only Skipper sister that still lived in Conway County. In the summer of 1925, John Quincy and James Arthur Skipper and their families went to Gore to visit Ethel and Elmer and their families. This photograph shows the family members that were not old enough to be off doing their own thing. John and James were cut out of the photo because of an error in using the viewfinder it seems. 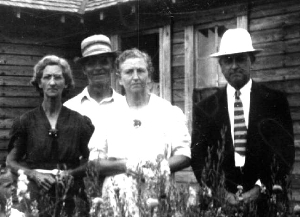 John Edward and James Turner (in the light colored hat) are in the photo. Ethel was about 31 when this photo was made. She is standing between the men. I think it is interesting that she has both her hands over James' shoulder. The other two women are her sisters-in-law. Her son, Paul, is standing in front of James. Genevieve, Ione, and Adeline are in the group of girls. A couple of years later Ethel and the family traveled back to Morrilton to visit relatives. Paul said that Walter Duncan's sister and her family traveled along with them in a separate vehicle. The Turners drove a Model T pickup with 'wagon bows' arched over the bed supporting a cloth cover. It is possible that U.S. 64 had been built through Arkansas and into Oklahoma by that time. U.S. 64 connects Memphis, Conway, Morrilton, Ft. Smith and Oklahoma City. The Turner's T-Model didn't have a battery (which serves as a 'capacitor' to limit voltage in some automobile electrical systems) and the light bulbs burned out on the way. They pulled into a filling station, but what looked like a white driveway was actually a white painted curb and the car straddled that and hit it but they managed to get off of it. They got the lights fixed and went on, but discovered that the 'wishbone' front axle stabilizer had been bent by the curb. They just drove on with the steering out of alignment. In 1929 Genevieve died of a congenital heart defect. She was thirteen years old. Three months later Ethel's final child, Fredis Eustis, was born. One of Ethel's friends was allowed to select his name. Ethel was 35 when her family was complete. As surviving children got married there eventually were nine grand children. 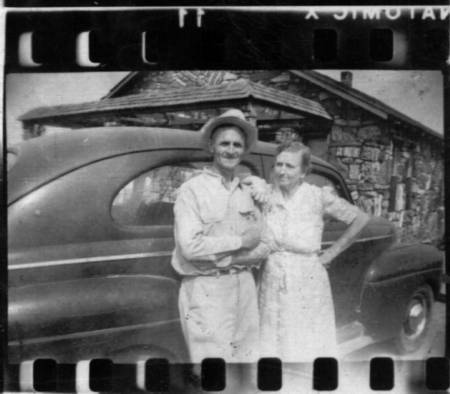 James and Ethel Turner standing by their Ford in front of the rock house he built in Webbers Falls, Oklahoma. This is an early use of 35mm film for still photography by the family. The Turners eventually built a rock house at the end of Main Street in Webbers Falls. The Arkansas River flooded Webbers Falls in 1943 and washed out the approach to the bridge across the Arkansas River and the first span fell in. Somehow the Turner and Edwards families made it across the river to stay with Bertha in Gore. (Bertha had married Paul Turner and he was off at war.) They had to go north to Muskogee to cross the river to get back home to clean up from the flood. Two weeks later there was an even bigger flood. The water reached the rooftop during the second flood. A new bridge was built further up the river at a location west of Gore and U.S. 64 was relocated to run through Gore. Webbers Falls began to decline. The Turners moved to Gore and Jim built several houses there. These are beautiful modern houses that are still in use. The old rock house in Webbers Falls is still standing, but the current residents have not maintained its appearance. 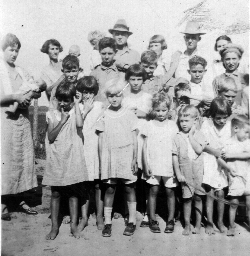 This photo was taken during a visit Carl Toby Skipper made to visit his sisters Ethel and Rosie Elmer. Elmer was two years older than Carl and Ethel was five years younger than Carl. Ethel died in Gore, Oklahoma, on February 10, 1957, at the age of 62. Her obituary says: Mrs. Ethel Pauline Turner, 62, died Sunday at her home in Gore after a long illness. She had lived in Gore since 1923 and was a member of the Baptist Church at Webbers Falls. She was born June 18, 1894, in Arkansas. She is survived by her husband, J. P. Turner, of the home; two sons, Paul of Gore and Fredis E.of Brownsville, Tennessee; two daughters, Mrs. H. L. Bussell of Webbers Falls and Mrs. John Shroyer of Morris; six grandchildren and one great-grandchild. Funeral services have been scheduled to be 2 p.m. Wednesday in Webbers Falls Baptist church with Judge J. F. Beavers officiating. Burial will be in Memorial Park under direction of Lescher Funeral Home. Pallbearers will be Bob Hefley, Bill Summers, Don Carter, Herbert Keathley, J. B. Sheffield and Fredis Ellis. Honorary pallbearers will be F. F. Rozell, J. M. Short, Coy Hampton, J. M. Johnston, Charles Thompson, Elmer Stanfield, Clifford Sloan, George Pearson, John Walter, and Wallace Warren. James lived for 15 more years and died in Muskogee, Oklahoma on January 30, 1972 at the age of 82. Many of the Turner family members have had outstanding careers in the field of education. Paul, the oldest son, was a hero in WWII and worked in the Oklahoma school system for many years. This is his obituary prepared by his daughter and a nephew. James Paul Turner, retired educator and former Gore School Superintendent, passed away early Monday morning August 27, 2001 in Tulsa, Oklahoma. He was born December 9, 1913 in Hattieville, Arkansas to James Phillip and Ethel Pauline Skipper Tuner. 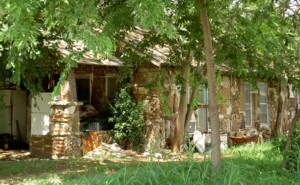 When Paul was nine years old the Turner family moved to Webbers Falls, Oklahoma. It was there he received his early education graduating in 1931. Mr. Turner attended Connors College and Northeastern State Teacher's College. He played football and was a member of the Webbers Falls Warriors, the Connors Aggies, and the Northeastern Redmen football teams. After receiving his B.S. degree he began a teaching/coaching career in Oklahoma schools. He taught at Barnsdall and Nowata. On December 20, 1941 Paul was united in marriage with Bertha Eichling in Greenwood, Arkansas. Mr. Turner was inducted February 5, 1942 at Fort Sill, Oklahoma. He left Fort Sill as Second Lieutenant September 5, 1942 with overseas assignment. He joined the 1st Infantry Division October 7, 1942 in England, and was assigned lathe 33rd Field Artillery Battalion. Turner was involved in the amphibious invasions of North Africa - Les Andalouses Beach, Sicily - Gela Beach, D-Day, Omaha Beach, and Normandy. He was a part of the major campaigns in Algeria, French Morocco, Tunisia, Sicily, Normandy, Northern France, Ardennes, Rhineland, and Central Europe. Captain Turner received the following commendations: Purple Heart, Silver Star with Oak Leaf Cluster, Bronze Sear with Oak Leaf Cluster, European Theater of Operation Medal with Invasion Bronze Arrowhead, one silver and three bronze campaign stars, Army of Occupation Medal with Germany Clasp, and Victory Medal. He also received the French and Belgium Fourragueres. Turner returned to the United States and separated from active duty in October of 1945. At this time he returned to his teaching profession and received his Masters of Teaching Degree at Oklahoma State University. He and Mrs. Turner taught at Gum Springs School in Sequoyah County for twenty-three years and in 1975 he became the Superintendent of Gore Schools. He retired from the teaching profession in 1978. Paul Turner was a member of the Gore United Methodist Church where he had served as Youth Director, Sunday School Teacher, and Sunday School Superintendent. He was Church Treasurer for many years. Mr. Turner was also a member of the Webbers Falls Masonic Lodge where he served many years as Lodge Secretary. He was also noted for his beautiful delivery of the "Stairway Lecture." Turner was preceded in death by his parents; three sisters, Marritta, Genevieve, and Adeline; and one nephew, Brian Turner. He is survived by his wife Bertha; one daughter and son-in-law Paula and Duane Parker of Webbers Falls; one grandson, Chance Parker of Webbers Falls; one sister, Ione Bussell of Gore; and one brother, Fredis Turner of Springfield, Missouri. He is also survived by many nieces and nephews. Services for Mr. Turner will be at 10:00 A.M. at the Gore United Methodist Church with Pastors Mark Howard and Bill Buttram officiating. Pallbearers will be Stan Sheffield, Steve Barrick, Larry Fears, Bruce Shropshire, Clayton Edwards, and Frank Hefley. Agent Funeral Home is in charge of arrangements with interment in Memorial Park Cemetery in Muskogee, Oklahoma.